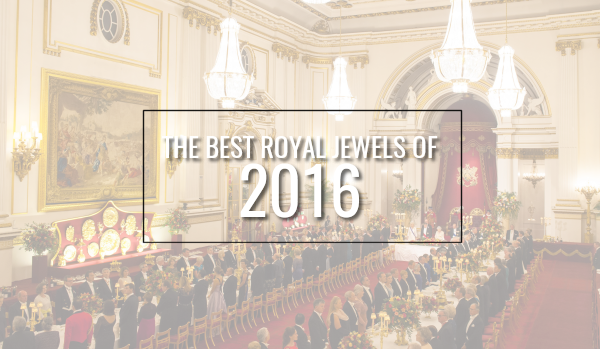 It's officially the last week of 2016, which means it's time for a countdown of the best royal jewel appearances of the year! I've chosen ten of my favorite bejeweled royal appearances from this year, and we'll be featuring two of them every day until we reach #1 on Friday. Enjoy -- and, of course, weigh in on your own favorites in the comments! When royal pretenders have big weddings, we often get to see pieces of jewelry that have remained hidden from public view for years. 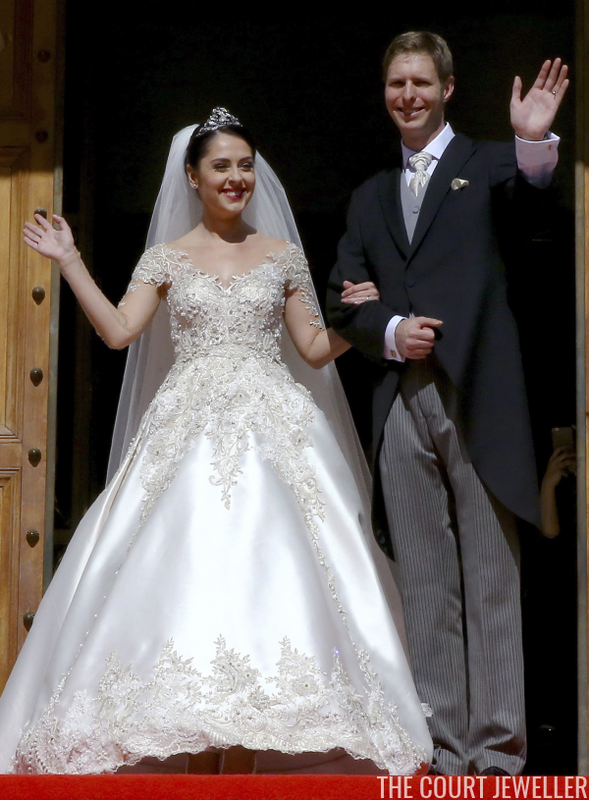 And when Prince Leka, the pretender to Albania's throne, married Elia Zaharia in October, we got to see a very unusual bridal tiara on display. 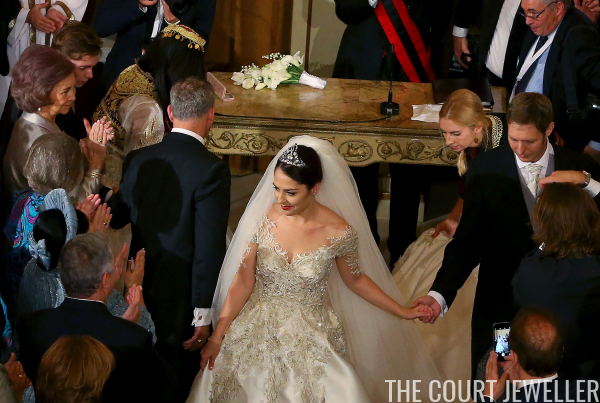 Elia's bridal diadem was a diamond and sapphire heirloom tiara from her new husband's family. The center of the tiara features a unique element: a diamond-set version of the Ram of Skanderbeg, one of Albania's most important national symbols.